Let’s not kid ourselves: If George Zimmerman’s trial is televised, it will become fodder for jokes. “All Trayvon All The Time” will become a mantra, a cue for sophisticated Americans to roll their eyes. We would be made to think that there is something tacky, obsessive, trivializing in broadcasting the judicial fate of the man who thought he was just stopping a “suspicious” black thug and wound up murdering a 17-year-old on the phone with his ladyfriend and carrying a bag of Skittles. 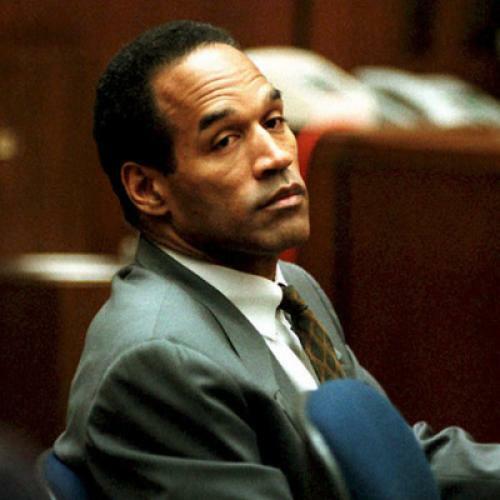 The spectacle of the O.J. Simpson trial would be knowingly cited as a cautionary tale. But a televised Zimmerman trial is exactly what America needs. Indeed, it’s precisely the legacy of the Simpson trial that calls for it. The first thing to acknowledge is that O.J.’s day in court—rather, his many days in court—was more meaningful than many Americans are today willing to credit. It wasn’t just cable news sensationalism. It was about more than whether a football player killed his wife, and more than whether a black football player killed his white wife. (The latter fact actually played little role in the black community’s reception of the story.) L’Affaire O.J. was, for a great many Americans, about police brutality. Black America saw Simpson as a symbol of the abuse of blacks by police forces since time immemorial, and every indication that Mark Fuhrman had used the N-word, every inevitable little random gap in the evidence or procedural error, was enshrined as evidence that Simpson was being railroaded. In that way, it was entirely appropriate that the trial earned the rapt attention of the nation. But if it sparked a “conversation” on race, it was one that devolved into a bitter shouting match and concluded only with a passive aggressive silence. Clearly, the tacit expectation was that “real” black people were to defend Simpson’s acquittal. (At the time, I was asked over email by a black journalism professor I had not yet met to speak to his class about the linguistic implications of Johnnie Cochran’s defense of Simpson—and promptly disinvited, via abrupt and permanent silence, when I mentioned I thought the defendant was guilty.) However, the cracks in the plaster started showing fast, culminating with Simpson’s recent imprisonment for a bizarre hold-up scheme. Hardly anyone was ultimately satisfied with the conclusion: Everyone, consciously or not, was waiting for another shoe to drop. These days it’s hardly considered nervy in most black settings to say that Simpson was likely guilty: Orlando Patterson’s contemporaneous analysis of the case, limning it as a grand soap opera, has its faults, but it was at least on the mark in implying that many people related to the case less as fact than as fable. But this was a fable without any happily ever after. Black people today cannot bring themselves to feel that they saved an actual hero, and Simpson’s guilt was always so obvious to outside observers that the celebration of his acquittal made black America look awful. Dim, frankly. The Trayvon Martin case could be a kind of redo. Assuming there is some sort of conviction, a televised Zimmerman trial would be a demonstration that—contrary to what has often been said in the wake of the Rodney King verdict, and has been said too often over the past few weeks in reference to Martin—black people can get justice in this country. Finally, there will be a conversation on race that can have a properly cathartic ending. There would be other useful aspects to “All Trayvon All The Time.” It would highlight the true, but pernicious, nature of racial profiling. The idea here is not that profiling happens “even” to people like, say, Henry Louis Gates, Jr. Mistakes like Zimmerman’s are perpetrated against black people, period—and Trayvon’s teenaged Twitterverse braggadoccio, as I have written, shows him to have been precisely the type of normal kid who is routinely victimized by such evil. Trayvon’s case can also create racial empathy in other meaningful, if less substantial, ways. He was handsome, and even his name, a created, post-sixties one with a redolence more of The Wire than black Martha’s Vineyard, has a sound that many Americans of all walks subconsciously embrace as authentic, approachable. Zimmerman, too, is well cast, in that all evidence is that he was not a “racist.” It was indeed a racist act to stop Martin at all, but hardly on the order of the policemen spraying fire hoses in Birmingham, and the shot he fired was likely in desperation rather than bigoted contempt. Zimmerman was, it would seem, essentially a butthead. But it’s not irrelevant that he is a butthead who has done community work with young black kids. In other words, Zimmer is Exhibit A of the subliminal nature of discrimination in 2012. And while racism is one part of his crime, just as key in the entire episode was the fact that he had a gun, a fact which a televised trial could usefully highlight as well. None of this is to say that a televised Zimmerman trial wouldn’t include lamentable excesses. It would be unavoidably subject to America’s natural penchant for sensationalism. But, in essence, it would be an instance of the public fulfilling its obligation to pursue justice. And that is an event that all Americans owe it to themselves to watch.